The world feels crazy. 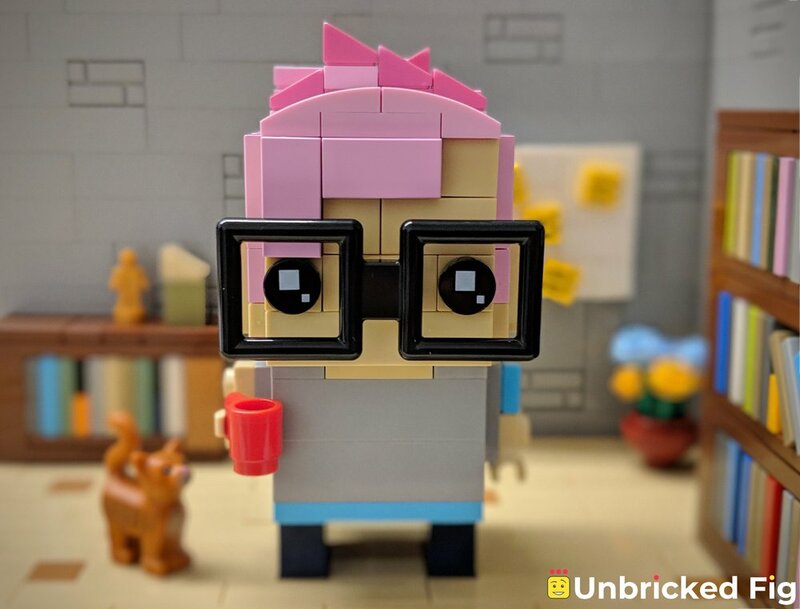 I've built Unbricked Fig to help us maintain our sanity by exploring the bugs and features of the human condition. As you embark on this journey, your phone will try to distract you with shiny notifications, so I've put in the extra effort in making the science brain-friendly and relevant to your life while still trying to squeeze in the exciting details and sources. If you make it to the end of each post, you'll also find an exciting new quest to level up your mental resilience and regain a bit of sanity. I try to publish at least one new post every week, usually on Thursdays. Easy on the brain: I don't use big words to feel important, I know you've had a tough day and just want to take it easy. I use humor, LEGO® bricks, and everyday language to make Unbricked Fig a semi-worthy alternative to Netflix. Modular: You can read as little or as much as you want. Dig deep into the links and recommended books or just come for the pretty pics and stay for the fun quests. Humble, yet useful: The world is complex, humans are complex. I don't pretend to have all the answers (anyone who does is a fraud) or even the right questions. But I honestly appreciate the time you choose to spend on this website, and I try to make it worthwhile by digging up interesting stuff and challenging you in small ways that can help you unbrick your own life. A burned out IT professional, fed up with high-growth tech startups, trying not to lose faith in humanity completely. Backed up by two cats that promised not to eat any bricks. Unbricked Fig is my attempt at making some sense of the world. I still use email and that sort of things, so if you want to reach me, drop me an email at hello [at] unbrickedfig (dot) com. I write back to emails that are nice and/or constructive and do not use blackmail to get me to buy stuff. The website was born out of my own interest and research in how we can cope with the complexities of the world around us. I share tips I personally find useful, and while I do spend a lot of time researching every article, I am not a medical professional and do not have a magical cure for anything. If you're having problems dealing with stress, depression or anything else (hey, no judgement! ), you should seek the help of a certified professional. But if you keep reading the stuff I write in addition to getting the appropriate treatment, it is my hope that I can provide some relief and entertainment to your life. Just remember: I am not a doctor! I use a lot of LEGO® bricks to support my words. You should know that LEGO® is a trademark of the LEGO Group of companies which does not sponsor, authorize or endorse this site. In plain speak, I am just a humble AFOL (Adult Fan of LEGO®) who needs to justify all the brick purchases to their family.